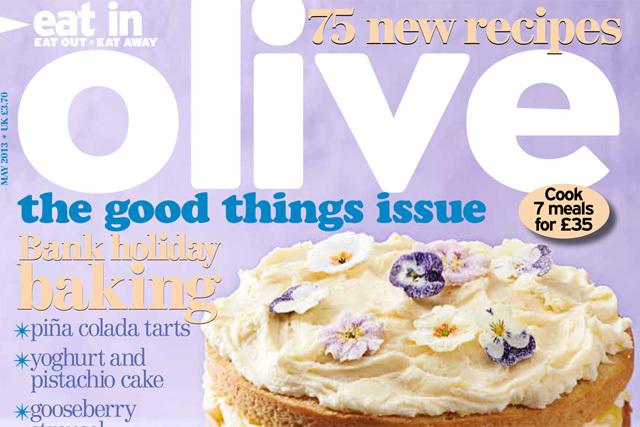 An ad promoting an offer for Immediate Media's Olive magazine has been banned by the ASA because the subscription, which included a free mug, was found to be more expensive than a deal that came without a mug. The Advertising Standards Authority banned the print ad, which appeared in the February edition of the mag. It offered a "Free Bodum travel mug worth £25" with a subscription, alongside a code to access the offer on Olive’s website. A complaint was made by one consumer, who visited the website and found that the "free" mug subscription offer, priced at £44.40 for the year, was more expensive than another offer she came across, which was priced at £34.50 and came without the mug. In response, Immediate Media said subscriptions pricing was "a complex and dynamic business" and that a variety of offers were available for one title at any given time. It explained that the £44.40 option was a full price subscription, calculated through a multiplication of the £3.70 retail price. The £34.50 offer, it said, was a discounted subscription price aimed at purchasers who came to the transaction with no connection to the magazine. The ASA warned Immediate Media to ensure its subscription offers and prices were clear to consumers. The ruling stated: "It would not be clear to a consumer accessing the subscription website, particularly if using the website address featured in the magazine ad, that these were separate promotions aimed at different types of consumer." As there was no clear distinction between the different offers, consumers "were therefore likely to be confused by the varying prices shown during their transactional journey", the ASA said. Immediate has reviewed its subscription process and plans to make changes to the website so a consumer is taken directly to a page detailing the offer they want to purchase, without having to navigate through other options. An Immediate Media spokesman said: "Although we will obviously uphold the ASA ruling, we would like to highlight the vital importance of running different subscription offers, targeting different consumers - a practice that is prevalent throughout the magazine subscriptions industry."